Make nappy changes a fuss-free joy with this gentle protective cream, and relish those special moments with your little angel. 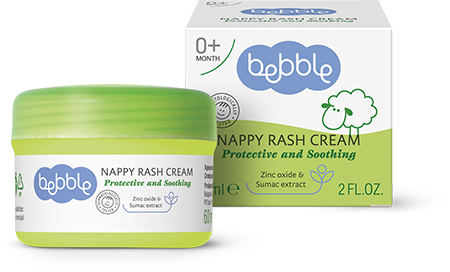 Bebble’s nappy cream soothes the delicate baby skin in the nappy area, where it is subjected to wetness and impurities. 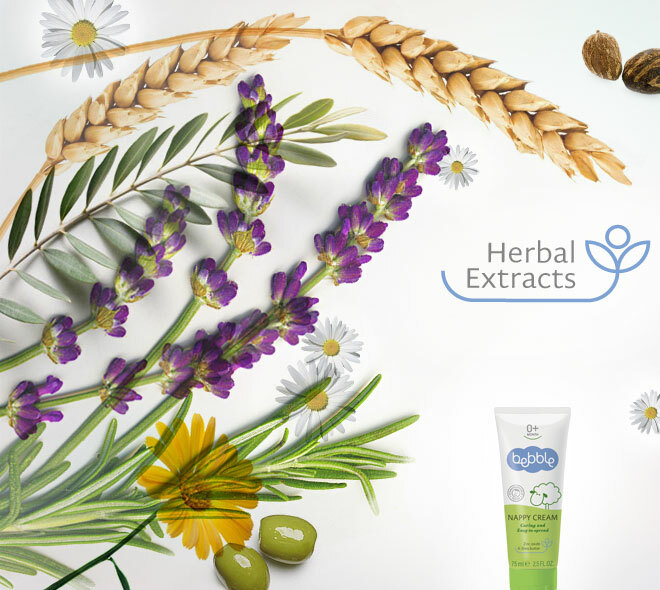 The cream’s active ingredients keep the skin dry and protect it against irritation. The mild texture creates a thin water-repellent film, preventing moisture from disturbing the surface layer of the skin. This cream is rich in natural oils and panthenol, and both protects and nourishes the skin. At each nappy change, clean the skin with a soft wet wipe or a gentle cleansing gel, and dry gently. Then apply a thin layer of the nappy cream to baby’s bottom and the folds and creases in the nappy area. Rich in essential fatty acids and vitamins A, E and F, shea butter oil is an excellent skin moisturiser. It recovers dry and sensitive skin and maintains skin elasticity. Sumac is renowned for its antibacterial properties. The extract is high in tannins, which accounts for its strong natural antioxidant and antibacterial action. Rich in polyunsaturated fats, soybean oil has moisturising and softening properties, maintains skin elasticity and reduces the discomfort of tight and dry skin. Ricinus (Castor) Oil is a vegetable oil obtained from the seeds of the Ricinus Communis plant. The oil acts as a conditioner, stabiliser and film-forming agent. It leaves the skin soft and smooth by providing a light, non-oily and silky moisturisation. The compound zinc oxide is well-known and widely used because of its antimicrobial qualities. It keeps the skin dry and protects against external factors.